108 red roses bouquet accent with white gypsophila. It is good for propose. 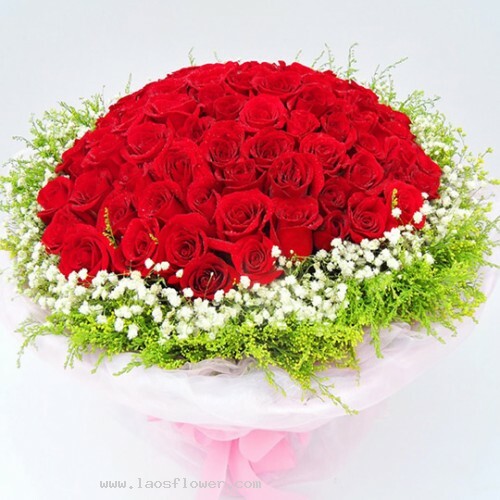 108 red roses bouquet arrange in a huge round shape accent with white gypsophila. Wrapped with white paper and tied with pink ribbon. This bouquet is good for propose. The color of roses and paper can be changed. You enter the room and my heart skipped a beat. I knew immediately that we are assigned to meet each other. As you look up from the floor and your eyes looking at my eyes. Warmth, tenderness, up and down my spine.